We have had several readers write in that they would like a place where they can submit ideas for the blog. Consider this Your Space! Tell us whatever is on your mind or what you would like to see on the blog. Possibilities are limitless – you can discuss your favorite reading, maybe a relationship issue that’s been on your mind, a weird dream you had, anything about Astrology, the Tarot or psychic experiences. Tell us what you think and what you want to see! Yes, it is quite addicting to speak with the psychics here at CP, especially since they are very good at what they do. My personal favorites are Winter, Keith, Gina Rose (who doesn’t love her? ), Abrielle, MaryAnne, Pamela….hehe I still have to narrow it down since I have so many. It was actually quite the therapy since I was able to somehow flush out all the painful emotions. Reading with all these wonderful people has aided me greatly in the healing process. I loved reading the story of Believer. You should check it out in the “predictions update” post. 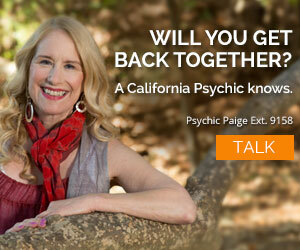 How refreshing to see I am not alone in speaking to just about all the psychics here at CP! Like most of you the relationship is complicated, but there are some hints of change in the air! I have really connected with Anauel, Liam, Meryl, Ms. Krystal. All the readers I have talked to see the same thing and pretty much the same time frame. So we shall see how this unfolds. You know at the same time I am having feelings of just letting this go and not because I have been told to. Actually I have been told the opposite, “don’t give up, let this unfold naturally”, etc. It’s just becoming some what tiring and I do need to focus on my life. When and if this happens, it will be amazing and I do feel like it will. I do have to say Anauel has been the most shockingly accurate reader for me. I just started talking to her this past week and I will keep everyone posted here on the events as they unfold. Thank you CP for starting this blog! And thank you for having this space to talk to other CP clients. This is fantastic! Hi Gina Rose! I truly appreciate your input. hehe..I feel a little sheepish about me putting my readings and outcomes in mathematical terms, but since I do hold a degree in Management, it came quite natural for me to do that 😛 LOL. Perhaps it may be inappropriate, but I suppose that it my way of best dealing with the situation. Timing has nothing to do with a Karmic connection, and timing varies in different individuals…….because Karmic pathways and Karmic lessons vary from person to person, or soul to soul. I’ve trained psychics for well over 20 plus years now….and….Souls only join together on the Earthly plane to grow spiritually and to learn LIFE LESSONS. The difference between point A ( when you met him ) and point B ( when you both re-unite) is a growing experience for both of you. For example, just because you feel YOU are ready, and have learned much in the process, doesn’t mean HE is ready…..yet. He may have alot more to learn, ( Karmically speaking ), than you do. There is NO mathmatical equasion that applies to the spiritual plane, Karmically speaking,…..math is an earthly plane perception. I ,very humbly, suggest you read some of the other articles in the other blogs that specifically address your questions above…..as it’s ALOT to type out again LOL…….Like “finding peace thru patience blog”….. I hope this does help you a little…. My Guides and I stand ready to help you, and read for you, if need be. and I agree with you, fairylove, Abrielle is fantastic. I actually once had a dream about her! it was quite unusal. I have never dreamt of reading with a psychic. What was interesting about the dream is that she was actually 2 people: a male and a female. When I did speak to her (I just had to after having that kind of dream) she did tell me that her best friend is a man. I assumed that I dreamt about her because there was a message that she had to tell me. The message she gave me was simply this: don’t give up yet. Right now I choose to believe completely that all the favorable things that have been predicted for me will come to pass. I do believe in “the secret”, so while nothing right now seems to be going in that direction, I just have to keep the faith and keep believing. That is what Nina, Abrielle, and a lot of other psychics have been telling me. But in order to keep my sanity intact, I’ve given myself a certain time-frame for it to occur. They all say that it should start happening in July then peak at August and September. So I suppose if nothing happens by September, I should just cut my losses and move on. Hi Holly, I would be so interested in hearing more about your readings. I had Nina read for me a couple of times and am waiting for the predictions to come to fruition. Or should I say I am at a point of trying to let go and just let things happen even though current happenings tend to make me think predictions of Nina and others will just never be. I would also like to know just what kind of smaller stuff has come true for you. I too have had some small stuff happen but not the major thing that I hoped for even though with most readers it is supposed to. Some of them have said that it wont, who knows at this point. It is so sad to think of all the women, and I’m sure some men, that are out there and so in love with someone that didnt love them back. I have been told that this man I am hoping to return is my soulmate but he is moving farther and farther away from what I can tell. But even when I tell the psychics this they assure me that something will happen to turn it around. Anyway, I would love to hear back from you about your readings Holly. And good luck to you. Wow, I feel so stupid! 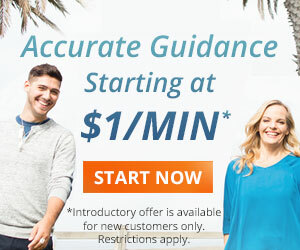 I have been an avid fan and user of CP for 3 (rather long) years with a relationship issue that totally threw me off my “course” – whatever that may have been. I too am in love with a man that is in a bad second marriage and have asked repeatedly why I can’t shake him off my mind and what is my new path? I have read with several psychics and have my favs -Dave, Uli, Gina Rose, and my newest that I’ve just tried – Nina and Althea. Probably have spoken to about 25 others, who were all terrific, but just have something special with these 5. Dave told me from the very 1st reading that time is not predictable, but the others have give me timelines and predictions. Some of the smaller stuff has come to pass, but not the majoy one. You kind of lose faith that it will ever happen and I have read and read that when you let it go, it will come. So much easier said than done! In my very first reading with Uli, she predicted that I would see “my soulmate” at a gathering or party – I had no idea what she was talking about! But then, about 6 weeks later, sure enough, we were at a cocktail party at a common friends house then later that night at the country club for a dinner dance! Unfortunately, he had his (very unhappy) wife with him! 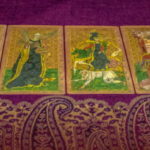 I just read with Nina a few weeks ago – she literally took my breath away with a respected path reading! We will see if what she predicts for me happens – the start of things isn’t until June 18th of this year. Althea’s reading coincided quite a bit with Nina’s – so maybe it will be this summer! However, there is still a huge part of me that says it won’t happen…even though my heart and gut says it should. Great posts! Great sight – I def will be talking with you all – keep the blog going, as the feedback column doesn’t seem to get updated as quickly! Hi everybody. I wanted to share something this morning. I talked with Sherri last night. I had only talked with her twice I think in the past. I asked her to look at this man I am so obsessed with and tell me what she saw. To my surprise, during the reading she asked if he or I was widowed. It is me. She then gave me messages from my husband. She told me he thanked me for all I did for him. Also talked of me holding his hand and telling him it was ok to let go. I was skeptical that it was him and I asked if he could tell me where my hand was when he died. She immediately said “His chest”. I started crying then because my hand was on his chest as he took his last breath. She then said I kissed him on the cheek and I didnt remember at that moment but then realized that yes I did. He also mentioned a baby. And the heart rate of the baby dropping during labor and an emergency C-section being performed. This was all true. I had our last baby in mind during the reading, I guess because he is the one that was affected most by my husbands passing. The number 2 was shown to Sherri and we thought it had to do with my husbands illness but I realized this morning that he was on hospice for two months and also that it was our second child that had been delivered by the emergency C-section. I guess that 2 was to correct me about which baby I was thinking of or maybe it was concerning his illness or both. I became very emotional during this and when I asked more questions she said he had blocked her because I was so upset. He did give other information though and said he did like the man that I fell in love with but that he was moving too slowly and that he(my husband)didnt want me to be played. He also wanted me to know that I am not alone, that he is with me. It seems that everytime I start losing faith in the readings that I get, something like this happens and the info given hits so straight to home. Her answer of my hand being on his chest was so immediate and with no hesitation at all. I just felt that I needed to share this story this morning. So nice to have a place that I can share these types of stories. And thank you Sherri for your kind words and the encouragement you gave to me last night. I appreciate all of the psychics that I have connected with and feel that you are friends even if we will never meet face to face. Thank you. Hi fairylove. Thank you for your response and I too have had readings with Gina Rose and Nina. Nina is one who told me not to listen to anything negative about this man and that he will be back in my life, but she also told me to be patient and to be good to me as I have been told so many times, lol. I think Micheal, Amanda, and Abrielle are the only ones that you mentioned that I havent read with. Seha is another that is so definite about his return to me. Courtney told me to move on since he has too. Oh well. The majority have told me that I will have another chance at this relationship and I have to say this. Miss Krystal and Abigail are the latest to encourage me and give me great advice. The main thing I am doing now is being patient, except for yesterday, and I was so upset all day but there were other things that kind of set me off. This has been a better day and I am planning a weekend away with a good friend of mine this weekend and we plan to have a great time, just two ladies on the town, lol. I am going to be good to me. And I have parties planned toward the end of this month so that will take my mind off things too. I wish you luck with whatever you are struggling with and feel free to talk to me whenever you want. And you can also ask me about different psychics here as I have read with dozens so far. But I am gonna stick with my favorites now. And Arial is really good too and hit on something about my son that I think she was correct about. She was also very encouraging about my situation. Thanks to all that comment here and thanks to CP for providing this forum. It really is great. I sincerely appreciate your feedback. I have come a long way – thanks for noticing! And, thank you for your additional words of wisdom, you are right…like attracts like. I feel blessed to have access to all of this divine wisdom, it feeds my soul. You guys are wonderful people!! Good luck Thinkerbelle, I too love Venice’s readings. She has seen great things ahead for me and the one I am hoping to return. I love her confidence and she always sees something that really hits home with me. I hope all works out for both of us. ‘Thinkerbelle’…good luck on your inspiration board I have made them and they really work! Good luck to you too ‘browneyes’ it’s funny how similar our situations are… one camp that says move on and the other camp that says he is coming back. I’m sure there are thousands of other people in our predicament. I keep notes on all of my readings if you ever want to know about a certain psychic feel free to ask me…I’m happy to provide specific feedback. Aside from the obvious favorites ie. Gina Rose, Dave, etc…if you haven’t tried Abrielle you should, everything she has told me has come true and she doesn’t use any tools. What she predicted 5 months ago is happening exactly. 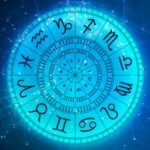 Recently, Nina has blown me away with her predictions in love & career using no tools and they are happening as I write this, just as she said! I used to love Liz as well…I was so sad when she left. My tried and true are Gina Rose, Courtney, Amanda & Nina. I feel that Maryanne, Phillip, Seha, Reggie & Michael are also really good (for different reasons). I suppose it’s just a matter of how well they connect to us individually. Any feedback on any of the brand NEW psychics?? I’ll keep checking on this blog…this is fun, helpful & informative!!! Just had the most amazing reading with Venice. It was as if she’d been living in my head watching me imagine a bigger, homier place in the same area where we live. Venice said it would come to us through a series of coincidences and it would have something to do with a friend of a friend who’s a therapist. And my guy is a therapist! And there’s more… She also said to keep on visualizing and put the word out in a subtle way. I’m gonna quit typing now and go make an inspiration board. Wish us luck!!! I understand fairylove. I too have come to the point of letting go and just letting things progress as they should. I am opening myself up to other options but still pray every night for this man to wake up and see what we had. I got a reading this evening from Abigail. She tells me the same thing, that he will be back and she could see the connection and chemistry that is there for us. She sees more communication between us and also told me what I can do now to help it along and I am going to follow her advice. She sees us together in the end. Seha has also told me this same thing, as have many others. But there are always a few that tell me to cut my losses and move on. But I think I will just live my life and date when I get the chance but I just cant give up completely on this for a while longer. I feel in my heart it is right for us to be together and I know it will be slow as you said it was and is for you. Lets pray for each other fairylove that all will work out for us. Wow!! I have been waiting a long time for a forum like this!!! I used to call and bug the CP Reps about what people are saying around the “water cooler” regarding new psychics, etc. Finally, we have our own forum and I have many experiences to share. Within 1 1/2 years I have talked to just about every psychic on CP searching for that one psychic that fits me. After spending thousands of dollars I have finally narrowed it down to a few favorites that seem to connect well with me. And, I have come to many realizations in the process. I have found that many psychics get the same impressions about situations but they all have a different perspective…it’s like adding a different piece to the puzzle. Some psychics are better at time frames, while others are better at the over-all outcome or career, etc. In response to ‘Browneyes’ my story is just like yours…a situation where I’ve been told an old boyfriend would return and I’ve been told that for over a year now. As I write this, it is finally coming true (very slowly). The moment I decided to let go, stop waiting around and just let things “be” that’s when the door seemed to open. Since my attitude changed I don’t get as many readings about this situation as I used to because I am not as obsessed with it…if it happens great, if it doesn’t that’s fine too. The difference is… I really mean it and it took me a LONG time to get to this space. I can give you tons of advise on psychics who were really right on for me in dfferent areas but it was more of my own growth that really helped ease the anxiety. Good luck, I know exactly how you feel. sometimes in life we come across divisive people who can really stir up trouble. They are called road blockers, trouble makers, pests, jerks and so on etc. Kathy is dealing with what also browneyes is kind of going through (in some ways). For example, I have a favorite song for this, it’s the one from 1980’s, by Tom Petty, “The waiting is the hardest part.” Additionally, I also love the lyrics from the famous Kenny Rogers song, “you got to know when to hold them, know when to fold them, know when to walk away and know when to run.” Basically, life can be a chess game sometimes and usually, the right moves will help us cut through red tape much faster. Sometimes in our lives we are called to be patient or, we are just not going to get what we want. The psychic can see what the outcome could be, but the caller has to do the work suggested in order to secure that particular outcome. Thus, free will energy can change a person’s destiny. That is the beauty of a psychic reading. Actually, you can change things a lot of times before they happen. yep, browneyes, was overwhelmed by your story just want to share with you my success story, people, tyhot i will never make it in life but now am proving them wrong dispitie certain hiccups. It’s all about determination and perseverance and courage. Never give just go for it. You will and can do it. looking forward to my next reading soon. I think you are right Browneyes…i think i look for validation and encouragement more so than anything else in my readings. Miss Krystal definitely saved me from myself lol! This is exactly the kind of feedback I was looking for. I am so glad to hear these comments from you ladies. I too have had the personality of the gentleman I asked about described to a “T”. Even though the outcome has been predicted differently by different psychics, the majority tell me he will return. But even the different outcomes make sense to me in a way since he is a very wishy washy man when making a decision about relationships and commitment. I wonder if it is his mindset at the time of the reading. But several have been so definite about his return that I still have faith and hope. One of my favorites right now is Nina. She starts the reading immediately and always asks if I want a general reading or do I have a question. She is very encouraging and definite about her predictions. She told me that she didnt see me having any contact from this man during the month of May and sure enough, so far there is nothing and I think I know why. And I dont expect any contact for a while. Also, Patricia had told me at the first of this year that there were changes taking place in his job that he was not aware of at that time. In a month or so I talked with him on the phone and he told me he had just found out that some changes were being made on the job and that some people would be moved out and into other areas of the country and world. This kind of stuff is so amazing to me that these ladies and the gentlemen at CP can give that kind of information. And to Pandafox, I think they did see what was in your future and it is your destiny. But maybe with the information they gave you, it did give you the courage to push forward and have the faith that you could succeed. That in itself is worth the price of a good psychic reading. Good luck to you. And good luck to all of you. i spoke to three psychics Maryanne, Miss Krystal and then a local Tarot reader. each one told me that over the course of the next two years (this was a year and a half ago) that i would start traveling more and i would go back to school. i have no idea if it was destined or if hearing them say that motivated me to really work at it, but i am going to England this summer and recently was accepted to a major university!!! i am so grateful that these ideas were put out into the universe by these lovely ladies…they were what i’ve always wanted but i was letting fear hold me back. I recently read with Jean and got the chills. She described my spirit guide in detail and it confirmed exactly the vision I always had. She also gave me great news of what’s coming up for me and I am excited for my future! Some of my other favorite psychics are Maryfrances (who was able to clearly describe some of my photos in my apartment), Tracy (who was so inspiring and genuine) and Vee (very sassy and encouraging!). I want to get a past life reading next… any suggestions? I keep notes on my readings… and what’s really cool is that there’s definitely a trend going on. All of the CP psychics I’ve called, say that 2010 is going to be transformational for me. Rondalafay says it’ll happen sooner. She said I’ll have an epiphany later this year and Jesse sees me heading into an unexpected direction at the end of this year. This is always in answer to a career question. It’s also kinda funny, that I never ask about my relationship because we’re happy. but they all bring it up because they see it as being a very special soul mate thing, which always feels good. YIPPEE!!!! Finally a place to talk with other CP clients. Since it looks like I am the first one to comment, I will start by asking that other clients that have received readings tell the rest of us some of your success stories. I would love to hear about predictions that have come true for you. And just how difficult was the situation you were getting the reading for. I can tell you that I have had a few things happen that were predicted that I was astounded by. One of them was by Nunu. She had predicted that I would get a phone call in a certain time frame and that there would be conflict between me and the person in question. That call came in the specified timeframe, it wasnt an exact time but she had told me that it would come sometime in late January or early February. It did. Fortunately the conflict was somewhat resolved during the call. She had also told me that someone this person was involved with would no longer be in the picture by February 5 or at least by the end of February. She was exactly right. That relationship ended by the second week of February. I was astounded. I am so looking forward to hearing from some of the other clients and who read for them. I hope to have more stories for you soon as I have had many readings and some of the timeframes are not here yet. So I am still waiting but with other success stories from you I think the waiting game will be much easier. Thank you CP for this blog. I absolutely love it. I hope others do too. And I am looking forward to my next reading which will be soon. I have had readings recently with Morgan & Miss Krystal. I can’t say whether everything will come to pass because the time is not yet here. But, what did amaze me was that I asked about a particular relationship that has been “very interesting”. What I will say is they have both described the gentleman perfectly. Morgan even asked “who are all these people around him”? Perfect, outside influence from family has been killer. Miss Krystal was awesome because she told me he would be back and just how to handle the situation. Although, the time has not yet come what she said made complete sense considering his personality. I will keep you posted as things start to unfold. I too, love this blog! The information shared is great!